Known for his ethereal, reverb-laden songs and falsetto vocals, Talos, real name Eoin French, is an indie pop musician from Cork, Ireland. A musician from a young age, he was inspired by an eclectic array of artists throughout his teens, including everyone from Dr. Dre and David Bowie to Kate Bush and Bob Dylan. He started the Talos Project after plans to move to LA fell through, and he instead released the tracks "Tethered Bones" and "Bloom" in late 2014. The sparse, dub-like electronica of the tracks earned the producer a positive response, and he began to earn comparison to artists such as James Blake, Bon Iver, and James Vincent McMorrow. 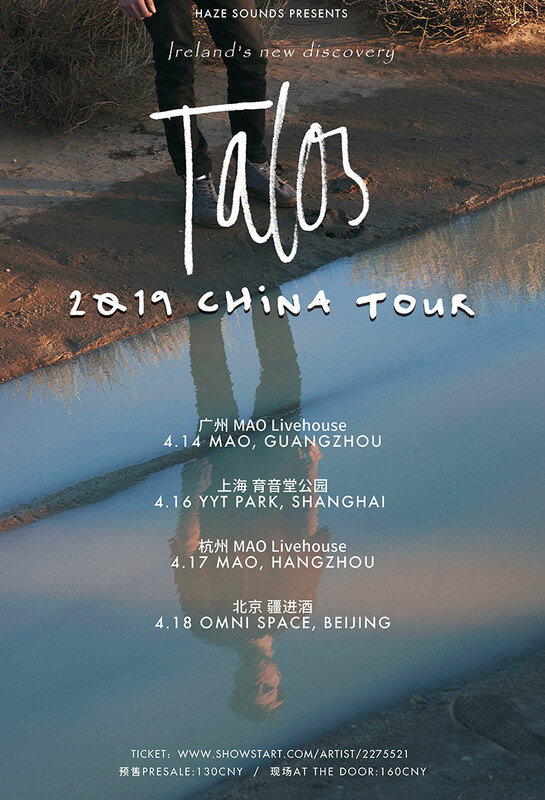 His's french off his second full-length album, "Far Out Dust" released in 2019, and he's coming to play in China for the first time.